I’m super excited to be partnering with Mastercard to introduce Masterpass and show you guys how you can use Masterpass to save big on time this Black Friday! We all know that waiting to get into stores on Black Friday weekend can be a total struggle. But with online-shopping, it’s so much easier to get everything you need and with Masterpass, it’s even more convenient to nab your purchases before they sell out. 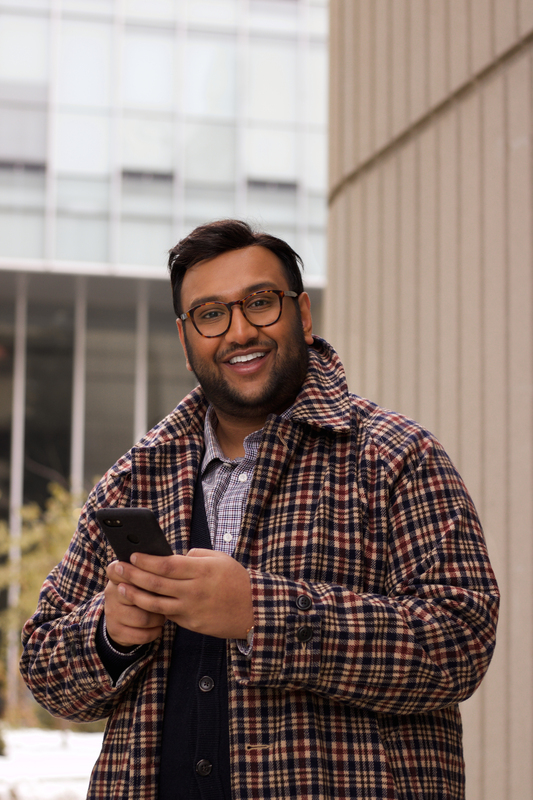 Masterpass is a simple to use and secure digital wallet which allows you to shop from some of your favourite stores online and through their apps. The best part about Masterpass is that it works with almost every debit and credit card – so you do not even need to have a Mastercard to use it! Head on over to Masterpass.com and begin your sign-up process. It’s super quick and easy to get fully signed up! Be sure to keep your cards nearby so that you can add them. Step 2: Head to your favourite online stores! There are thousands of online stores where you can check out with Masterpass! Here is a list of some stores! Expert shopping tip: For your Black Friday shopping needs, I would suggest making a list of the different finds you’re currently obsessed with, so that you know exactly what to get ahead of time! Step 3: Add the item you’d like to purchase and head to the checkout! Once you are ready to place your order, all you need to do is head to the checkout. 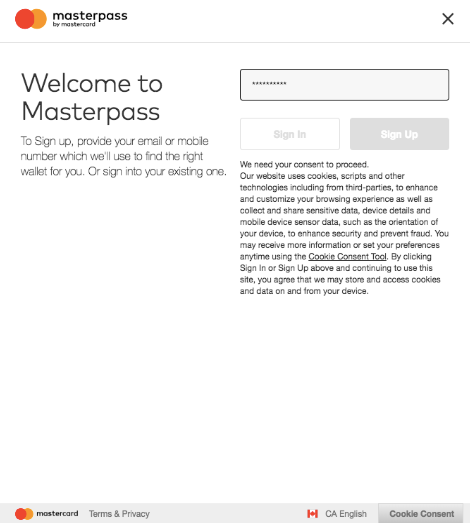 You will find a little button which says “Masterpass” and all you need to do is click on it and sign into your account. You can select from the cards and shipping information already set up, follow the prompts, and just like that, you’re done! For more information on Masterpass and to sign-up, be sure to visit Masterpass.com! And after you’ve successfully used Masterpass to survive Black Friday, you will definitely be smiling!